Mars’ atmosphere is composed primarily of carbon dioxide (about 96 percent), with minor amounts of other gases such as argon and nitrogen. 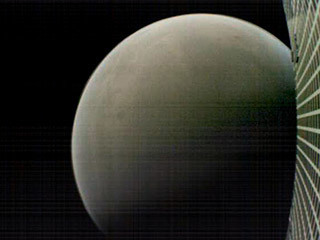 The atmosphere is very thin, however, and the atmospheric pressure at the surface of Mars is only about 0.6 percent of Earth’s (101,000 pascals). 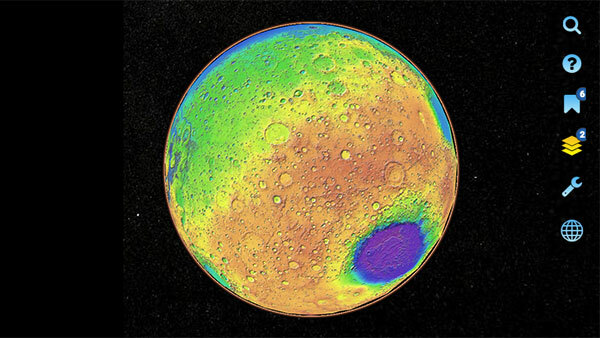 Scientists think that Mars may have had a thicker atmosphere early in its history, and data from NASA spacecraft (the MAVEN mission) indicate that Mars has lost significant amounts of its atmosphere through time. The primary culprit for Mars’ atmospheric loss is the solar wind! Astrobiology is a relatively new field of study, where scientists from a variety of disciplines (astronomy, biology, geology, physics, etc.) 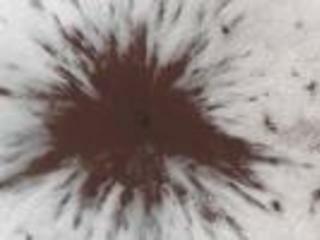 work together to understand the potential for life to exist beyond Earth. 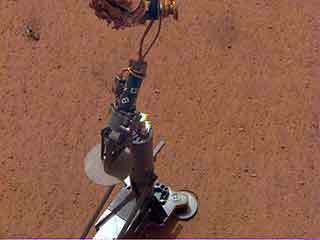 However, the exploration of Mars has been intertwined with NASA’s search for life from the beginning. The twin Viking landers of 1976 were NASA’s first life detection mission, and although the results from the experiments failed to detect life in the Martian regolith, and resulted in a long period with fewer Mars missions, it was not the end of the fascination that the Astrobiology science community had for the red planet. The field of Astrobiology saw a resurgence due to the controversy surrounding the possible fossil life in the ALH84001 meteorite, and from the outsized public response to this announcement, and subsequent interest from Congress and the White House, NASA’s Astrobiology Program (https://astrobiology.nasa.gov/ )and one of its major programs, the NASA Astrobiology Institute (https://nai.nasa.gov/ ) were formed. Also at this time, NASA’s Mars Exploration Program began to investigate Mars with an increasing focus on missions to the Red Planet. 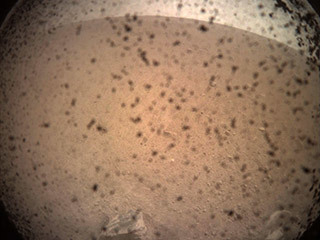 The Pathfinder mission and Mars Exploration Rovers (Spirit and Opportunity) were sent to Mars to “Follow the Water,” recognizing that liquid water is necessary for life to exist on Earth. After establishing that Mars once had significant amount of water on its surface, the Mars Science Laboratory (which includes the Curiosity rover) was sent to Mars to determine whether Mars had the right ingredients in the rocks to host life, signaling a shift to the next theme of “Explore Habitability”. 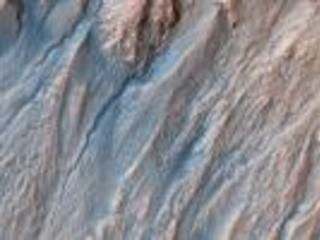 MEP is now developing the Mars 2020 rover mission (https://mars.jpl.nasa.gov/mars2020/ ) to determine whether life may have left telltale signatures in the rocks on Mars’s surface, a further shift to the current science theme “Seek the Signs of Life”. 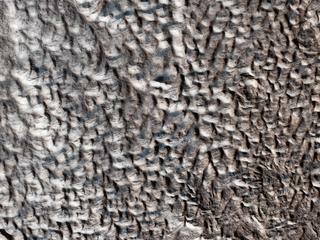 Finding fossils preserved from early Mars might tell us that life once flourished on this planet. We can search for evidence of cells preserved in rocks, or at a much smaller scale: compounds called biosignatures are molecular fossils, specific compounds that give some indication of the organisms that created them. 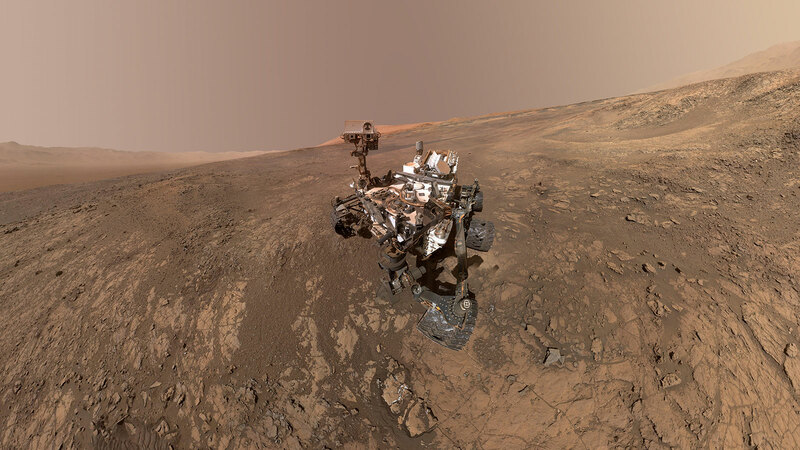 However, over hundreds of millions of years these molecular fossils on Mars are subject to being destroyed or transformed to the point where they may no longer be recognized as biosignatures. 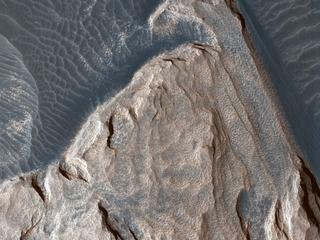 Future missions must either find surface regions where erosion from wind-blown sand has recently exposed very ancient material, or alternately samples must be obtained from a shielded region beneath the surface. 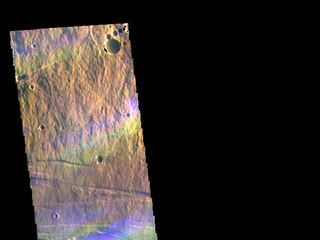 This latter approach is being taken by the ExoMars rover (http://exploration.esa.int/mars/48088-mission-overview/ ) under development where drilled samples taken from a depth of up to 2 meters will be analyzed. 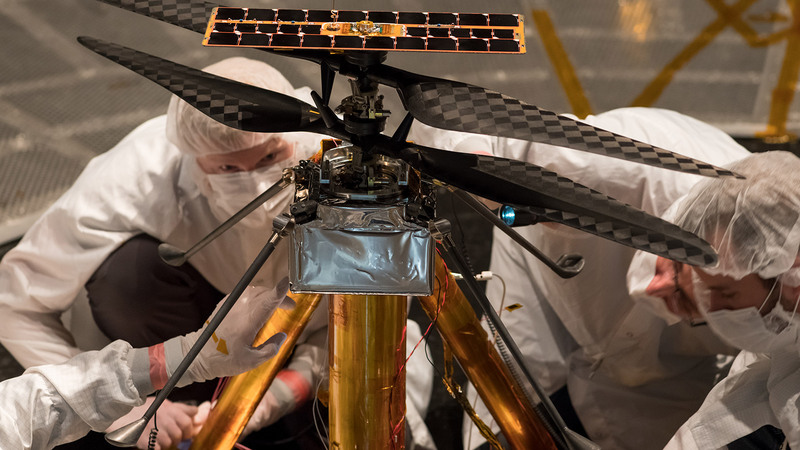 Learn about NASA’s new Exploration Campaign: Back to the Moon and on to Mars. 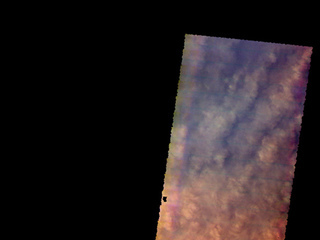 Lifting the veil on Mars. 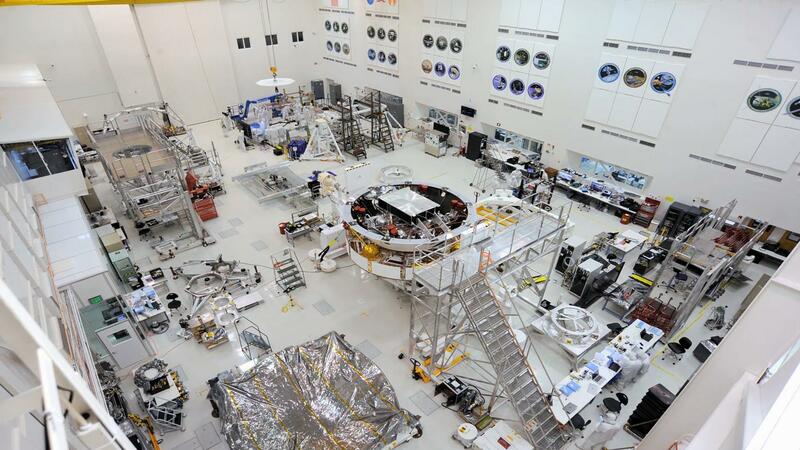 Setting the stage for human exploration. An overview of basics about the Red Planet. 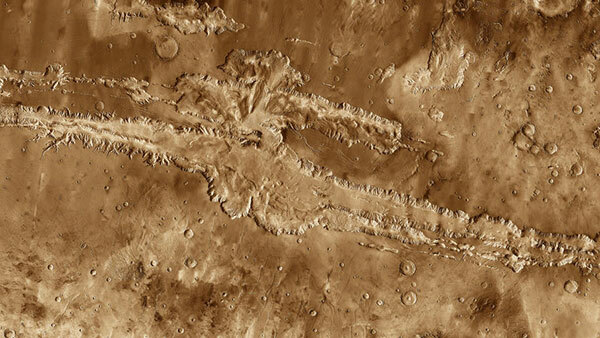 Explore Martian terrain maps with this interactive visualization tool. 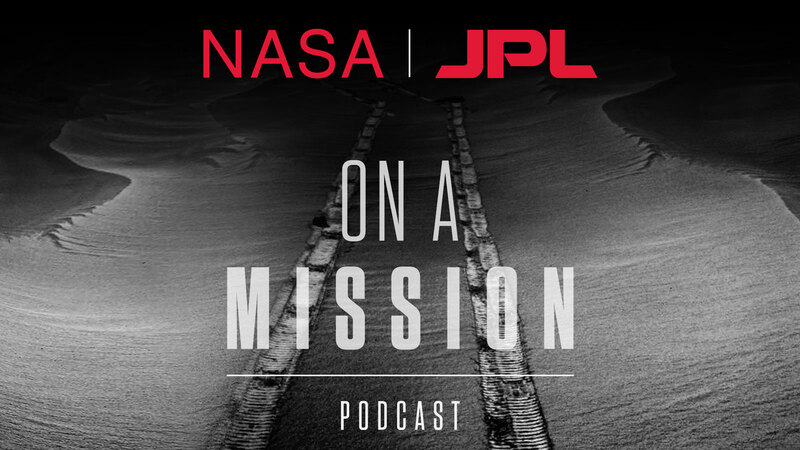 “On a Mission,” a new podcast from NASA’s Jet Propulsion Laboratory, explores the drama and personalities behind a single mission to outer space. Season One is about the InSight mission, due to land on Mars in November. 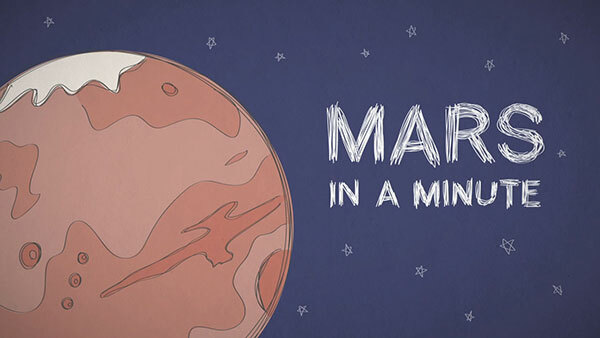 Short, animated answers to common questions about Mars ... in just 60 seconds. 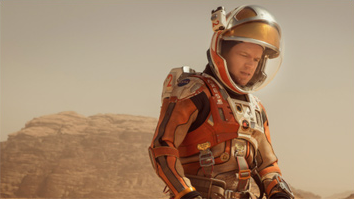 How the Red Planet has been envisioned in humankind's creative imagination. Send Opportunity and the team a message. 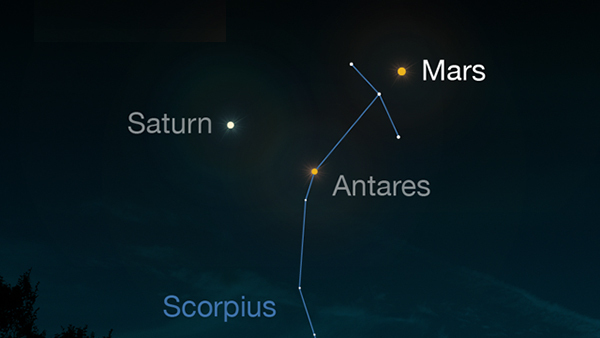 How and where to spot the Red Planet overhead. 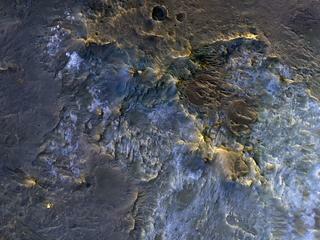 Curious about Mars? 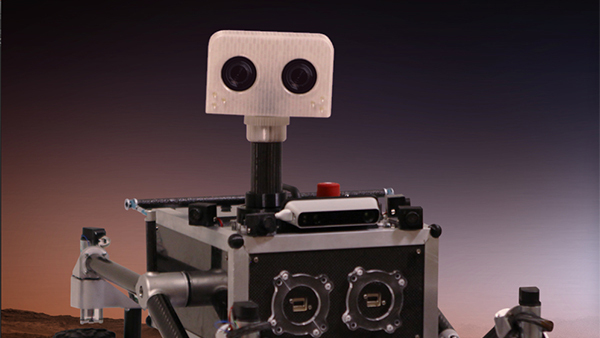 Ask ROV-E.
Meet some of the faces behind the Mars Exploration Program.